1. Keep teaching! You are there to teach. Your students are there to learn. Don't go on auto-pilot and don't become Queen of the Videos. That fabulous lesson that didn't fit into the science curriculum a few months ago? Try it now! That math game you thought up in the shower? Get it ready! Don't give up. You're almost there! 2. Don't let your fabulous organization skills head for the beach just yet. End of the year awards, grade cards, ceremonies and celebrations are coming up. Start planning for these events sooner than you did last year. When the time comes, the task won't seem so overwhelming. 3. Be sentimental. It's okay. You love these kids! (Well, most of them.) Take on an end of the year project that helps your class reflect on the wonderful year you've had. One of my favorites is This Year Rocked. Many thanks to Ms. Lawson's class for trying out my new end of the year memory books: This Year Rocked! These second graders did a great job and I know the final project is something their parents will always cherish. These books are designed for the regular classroom, and have a cool rockin' theme. 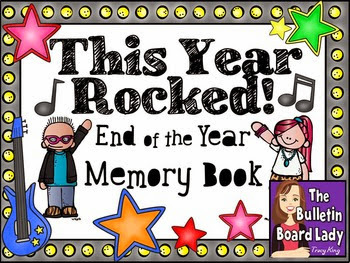 Teachers: You can get this rockin' memory book here. Here's a version for the music class room. At the beginning of every year I love to hop from blog to blog and look at all of the pictures of the beautifully decorated and organized classrooms. I imagine that it must take weeks and weeks to get rooms that look like that! For the last couple of years I've planned to do a little bit of organizing at the end of the year to better prepare for the next school year. At previous districts we've had at least one day before classes started that was strictly a teacher workday. 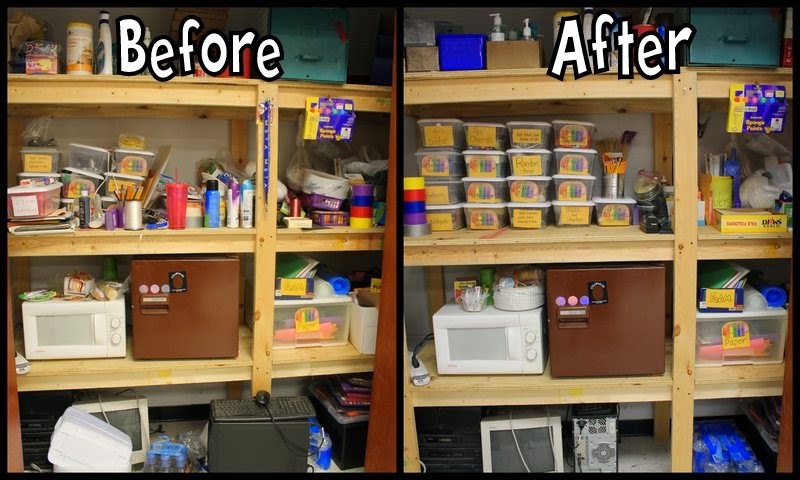 Teachers could unpack, organize, decorate and plan without the interruption of staff meetings or insurance meetings or any one of the dozens of meetings that have to take place during that time. At my current district we don't have that. Actually, we have open house before school starts and after only one paid day back at school. This means that unless we come in on our own or are crazy super organized and preplanned that we will have to come in a day or two before that on our own. I don't mind coming in before that. I enjoy decorating and getting things ready. I don't want to give up a week or two to do that! Last year several teachers came in to work 10-12 days before they were required every single day all day long to work in their rooms. Wow! I don't want to do that either. Put up bulletin boards and then covered them up so they wouldn't fade. Made copies of class syllabi and filed them. Created my Song of the Week (now Song of the Month) display and laminate it. Copy Recorder Karate Books, listening worksheets, etc... anything I could think I might need in the first few weeks. Plan a theme or color scheme for next year. This year I decided to organize all of my materials in a way that made sense to me. I have a lovely wall of storage with big deep shelves. 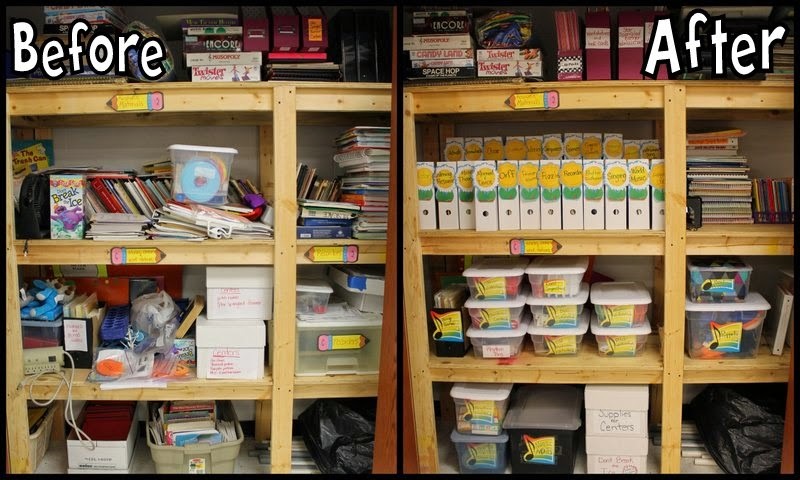 I am so fortunate that the teacher before me insisted on great storage and left me a well-stocked classroom. The problem? It was kinda all over the place! Take a look. These containers are from Sterilite and you can get them at Walmart among other places. I tried to place like things together (glue sticks and glue guns, labels and dot stickers, etc...) but most importantly tried to have a PLACE for everything. 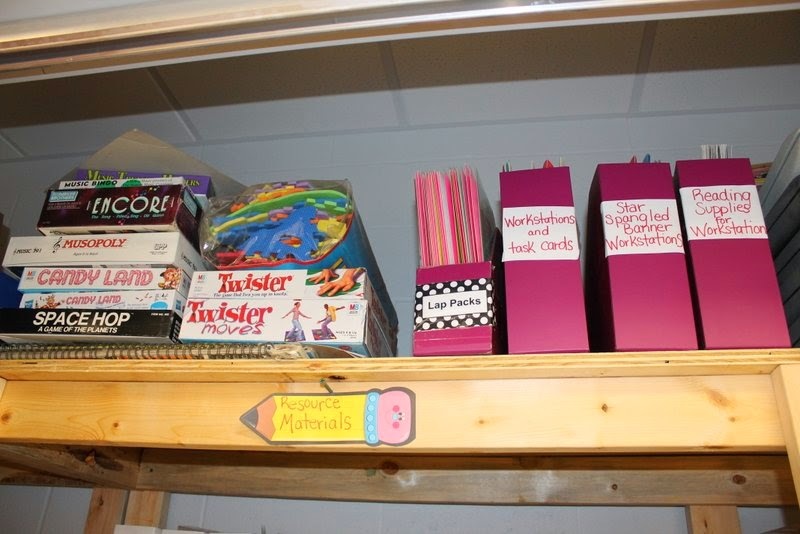 The picture below shows how I have organized my crazy amount of books, center supplies and games. So remember those hundreds of books that were stacked or sliding or just crazy in the before picture? Well...now they all have a home! 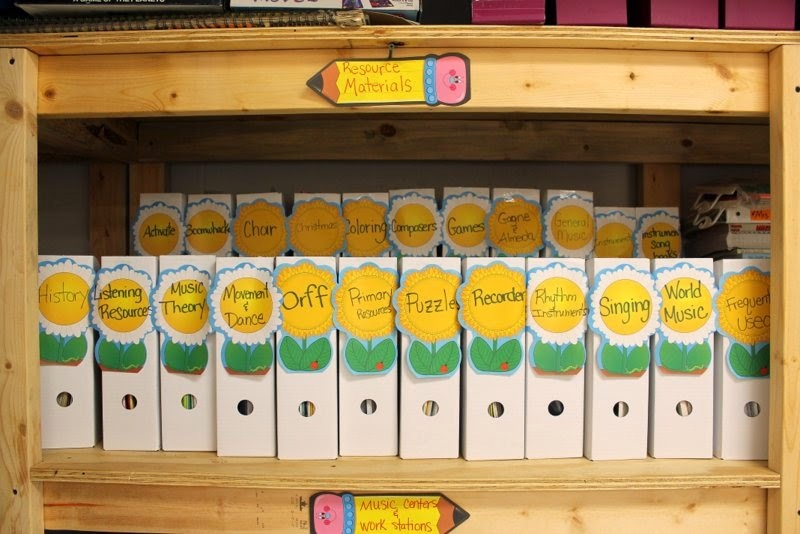 I used magazine boxes and labeled them by topic. The flowers are just from those notepads you can get at teacher stores. I thought that gave them a cheery look and a degree of uniformity. Right now they are in alphabetical order (starting in the back), but I imagine as I use them next year I'll pull the ones I use the most to the front. Games, lap packs, Star Spangled Banner Workstations (all in folders. I do them with 3rd grade every year), reading supplies for workstations and miscellaneous worksheets and direction sheets for centers. 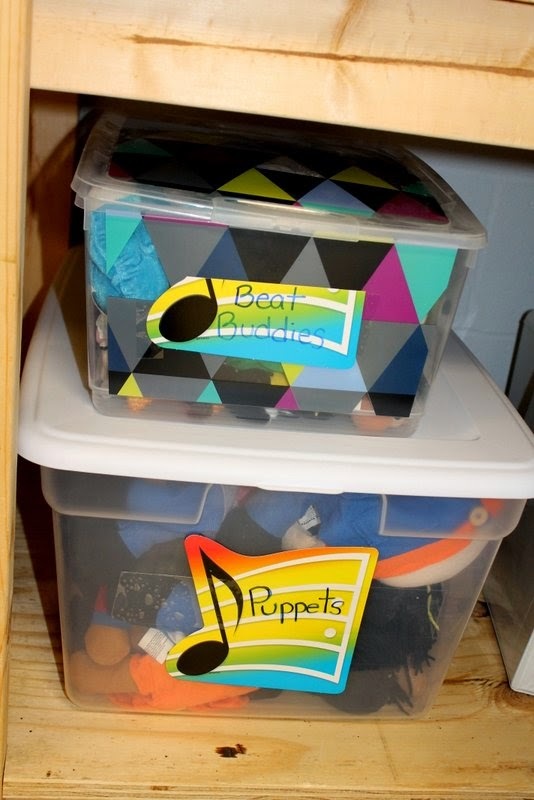 I spent a little bit of money from my fabulous PTO to get containers and finally moved my puppets (used in my singing centers) and beat buddies (beanie babies) into proper homes. Now they are easy to get out and put away and store nicely in the space I have for them. I've also got this binder ready to go! 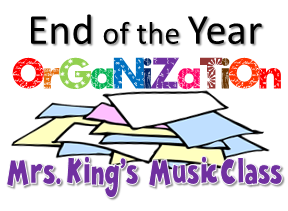 Do you do any organizing or preparing for the new year at the end of the last? 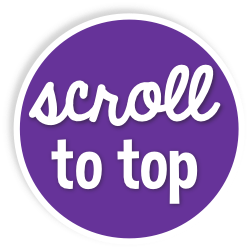 Blog about it, grab the image at the top of this post and link it back to my blog. Link us up with your ideas below. If you don't have a blog, feel free to share your ideas in the comments. Okay...I know, I know, I know...some of you have a month or longer to go but I have been enjoying summer break for a week now! Actually...I've been incredibly busy, but some of that business was taken care of in my pajamas while watching reruns of Will and Grace. Today I'm linking up with Deanna Jump to talk about some of the things I'd like to do this summer. It won't be long before August will be here and the excitement of the new year and blitz of activities will make summer seem like a distant memory. Wanna join in the fun? Click the picture below to see Deanna's original post. 1. I want to spend some quality time with these two amazing kids. It is not easy handling a toddler and a teenager, but as the summer rolls by Joey will turn 15 (holy cow!) and Sophie will be three. I hope that we'll get to spend many nights sitting outside around a fire pit roasting marshmallows, catching fireflies and laughing together. During the school year we have to sneak in moments like that. I hope to have TONS of them in the next two and a half months. 4. This summer I'll be presenting at Denise Gagne and Artie Almeida's Summer Music Educator's Conference. I'm SO excited about this. I'm also going to be presenting at the state teachers association leadership symposium. I hope that both of these events will be filled with great connections with other teachers. Collaboration is key to being an awesome teacher and I've only got 11 more years until retirement. I've got to get moving! 5. See this little princess? Another one of my goals this summer is to learn how to French braid her hair. I know, that may seem like a trivial thing but until a few months ago her hair was so thin that it was difficult to do anything with. Right now I can do a brilliant ponytail and adorable pigtails but that's it. So, I'm gonna find a few videos and figure out how to bribe her to sit still and I'm going to learn to do hair! Any tips? 6. I love creating products that help make other teachers' lives easier. If you are a music teacher you might have visited my Bulletin Boards for the Music Classroom website sometime. About a year and half ago I joined TeachersPayTeachers and posted many of my resources there. Usually I can only spend a little bit of weekend time working on projects, but this summer I have a big list of things I'd like to get ready. My composer of the month series has been wildly popular and I hope to have a whole new year's worth of kits ready to go by the time school starts. 7. Okay...I have a confession to make. I'm kind of a closet gamer. I love video games. I actually spend a great deal of the school year avoiding them completely because...well...I...uhm...errr....I tend to get addicted quite quickly! Several years ago I think I lost an entire month of my life to The Sims. LOL! No kidding! I also used to be Tracy Nightstar, earth controller, in a game called City of Heroes. 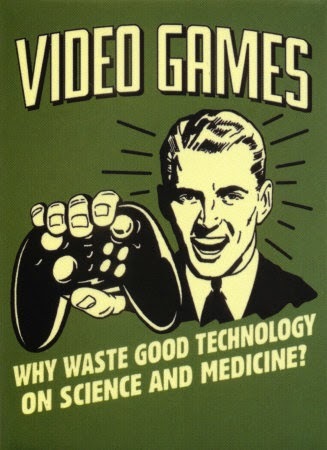 Now I don't have time to pick up a new game, but I want to spend some time gaming with my hubby and son this summer. Last summer we spent some time shooting zombies. I can't wait to see what game they'll teach me this summer. 8. This summer I am going to spend more time with my extended family. Growing up in rural Missouri my aunts and uncles all lived on the same hill of the same gravel road. It wasn't exactly like Walton's Mountain, but we were all just right there. 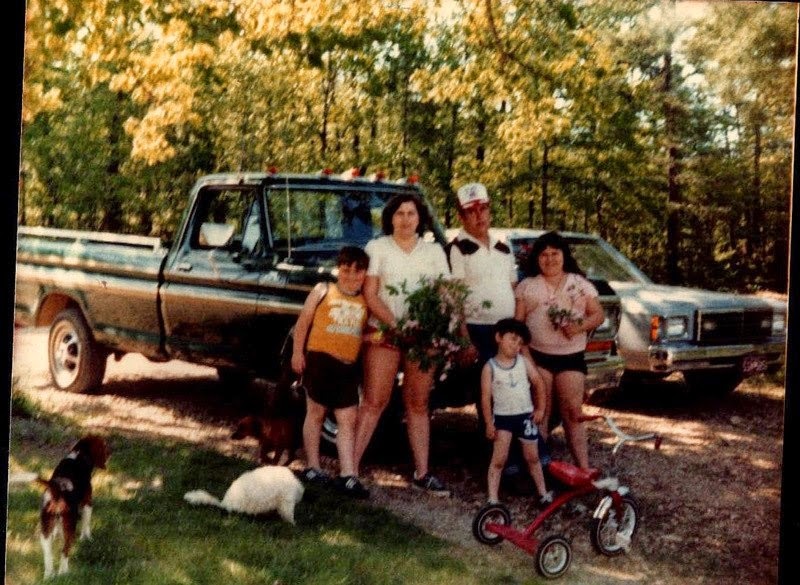 Summer days were spent playing with the cousins, sneaking in a second supper at Aunt Marsha's house, riding bikes to Grandma's and celebrating every single holiday and birthday with food and fun. Now that grandma has been paroled to Jesus, the family doesn't get together very much. This summer I am going to create opportunities for that kind of fellowship to happen not just with my brothers and their families but with my cousins too. Wish me luck! We are quite a rowdy crew! 9. This summer I am looking forward to some leisurely quiet time. In the blur of spring and with all of the end of the year performances and activities I've let my quiet times become quiet seconds. 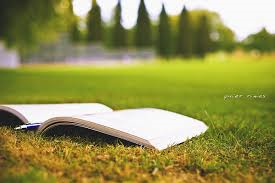 I'm looking forward to taking a cup of tea outside and starting each day with a leisurely time of reading and praying and focusing on what's really important. 10. 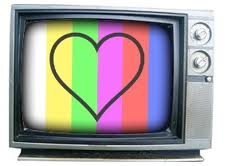 I love binge watching tv! Shhhh! Don't tell! I'll piddle on the computer, color with Sophie or cut fruits and veggies or some task while I'm watching but I love to sit and watch an entire season of a show! This summer I need to catch up on Bones, watch the new season of Orange is the New Black, start Mike and Molly (folks say that I will like it), rewatch some Little House on the Prairie and introduce my daughter to a couple of Disney princess. There are lots of movies I'm going to see this summer too. I'm such a junior high boy when it comes to movies. I've already watched Godzilla, Spiderman 2 and the new X-men movies and it is not even June! What are your summer plans? What things do you want to make happen during these sunny days? Link up with the linky party or leave your ideas in the comments below. I hope you have the best summer ever! I'm joining with my friend David at Make Moments Matter who is hosting a linky party about milestones. It has been such a great year that I knew I had to join in the fun! If you are a blogger, join in the fun by following the link on the picture to see his instructions on his blog. Come on! Celebrate with us! My awesome Bearytones performed the national anthem at Busch Stadium before a Cardinals' baseball game. This was the first time any group from the district had done any such thing. The support we received the school and community was amazing! 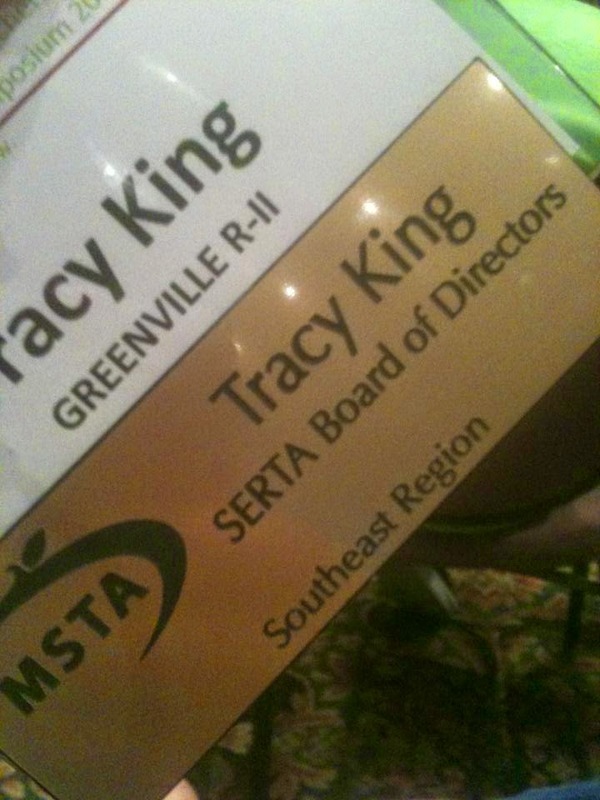 Articles appeared in 2 local newspapers and we even appeared in the state MSTA magazine! AWESOME! This year groups visited our local nursing homes to spread seasonal joy through music. Second graders performed folk song favorites and Halloween songs in October, 1st graders spread the Christmas spirit in December and Kindergartners perform right before Easter. Awesome! Fifth and sixth graders performed a pop concert which featured several rockin' solos and a great rendition of Evolution of Dance. Awesome! After a few snow days, 3rd and 4th graders finally got to perform A Totally TV Christmas. Awesome! 1st and 2nd Graders were a howling success with their concert in April called Furs, Feathers and Fun. Awesome! This year I presented 3 sessions about using music to teach math and reading at College of the Ozarks in Branson, Missouri. These were delightful, energetic classes and I look forward to going back to speak to more future teachers again. This year I presented "Write On! Ways to Incorporate Writing Into Music Classes in 15 Minutes or Less" at the Missouri Music Educator's Conference. The conference was so much fun and I got to present after John Jacobson, a music education rock star! WOW! Last summer I lead sessions at the Missouri State Teacher's Association Leadership Symposium on creating a joyful work environment. I'll be presenting something similar this summer too! Although it hasn't happened yet, I'll be presenting a session on using workstations in music class at Denise Gagne and Artie Almeida's awesome musical adventures in Branson this summer. Join us if you can! What things can you celebrate from your school year? What milestones did you reach? 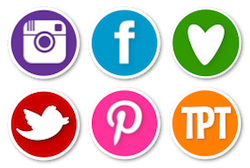 If you don't have a blog or can't join the linky party, feel free to leave your successes in the comments section. THREE! Three more days! Where has this year gone? With 24 snow days it feels like I've left several things just a little incomplete. It's okay though, as I pack up my room and celebrate the last few days of school with my students I know that we've grown and made lots of great music together. 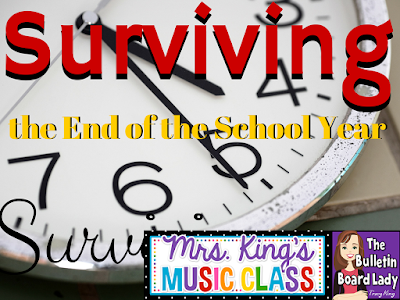 Let's talk about a few survival tips for flying through the end of the school year. For me, the end of the year seems to bring about a panic like race to get everything finished. I have 2 kindergarten graduation ceremonies that I do that include a full concert and the diploma ceremony. In addition there are always banquets, award ceremonies and all of that end of the year paperwork. I've found that the more organized I am the easier it is to bounce back from these events. 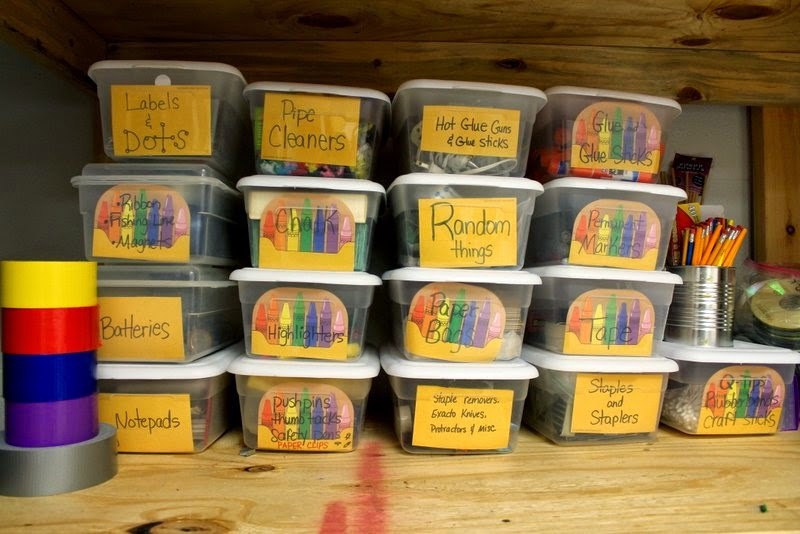 In a few days I'm going to post a HUGE blog post about classroom organization and even show you my messy closets! So check back to see the transformation. For me, organization is simply having a defined place for everything. Even if that space is a little messy, as long as what is supposed to be there is actually there I count it as good! So, think about how you use your supplies. What do you use every day? What things can be hidden because they are only used seasonally? 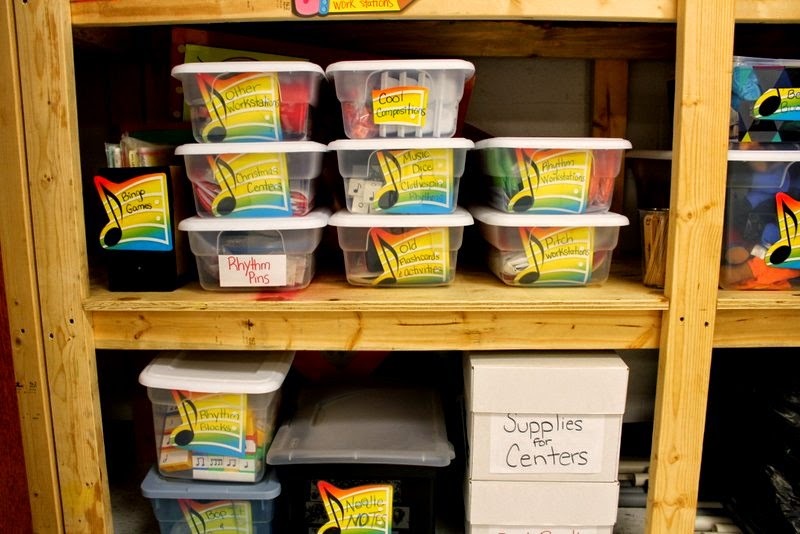 What's the best container for stashing your supplies? For me, I like to put things in a place and then label that space. As the school year comes to an end I just clear off the shelves in my classroom and put them in my storage space in their appropriate place. Props and manipulatives go together. Bulletin boards, borders and posters go together and so do all of the many notepads that I've collected to create bulletin boards and other displays. Office supplies are sorted and stored. Paper work is filed or pitched. I'm just now starting to save digital copies of some of those papers and pitch the hard copies. Finding ways to group like items will make it easy to pack up your room and even easier to set it up come fall. 2. Look at the plan. I keep a spreadsheet of all of the activities I'd like to do with each grade each quarter. It's not exactly a curriculum guide, but it does help me with planning. Also in this file are a list of songs that I want students to leave each year knowing. As the last month approaches I take a look at this list again. Often I'll add songs that we've done or activities that I'd like to move to a different quarter. I also use this as a great way to set up some review games or some "sing through the school year" sessions where we sing all of the songs we've learned this year. If you don't keep a plan like this, it is a great time to start one. Look back at your lesson plans and just take a few notes on projects, units or themes that you did this year. This is a good place to start for next year! I know...I know...it's summer, but I love learning. I love trying new things. I LOVE going to music related professional development. Even in the summer. That makes me crazy, right? LOL. Consider taking a class to get your Orff or Kodaly certification. Contact local music shops that may offer music reading sessions to help you select music for the year. The end of the year tends to be filled with field trips, last minute assemblies, field days, rain days for field days and more. Plan lessons that are fun and musical, but that can be shortened or extended if needed. Often with my 4th, 5th and 6th graders I'll have a folder of PowerPoints with lyrics and song files attached. They are mostly songs we've learned during the school year but I'll also add things like "Let it Go" from Frozen and "Happy" by Pharrell Williams. Fun stuff! We love to sing songs this way. The PowerPoints offer visual interest and save tons of paper copies of lyrics. With several classes we're working on Music Memory Books. These books help us reflect on the year and provide great insights as to what students really connected with! 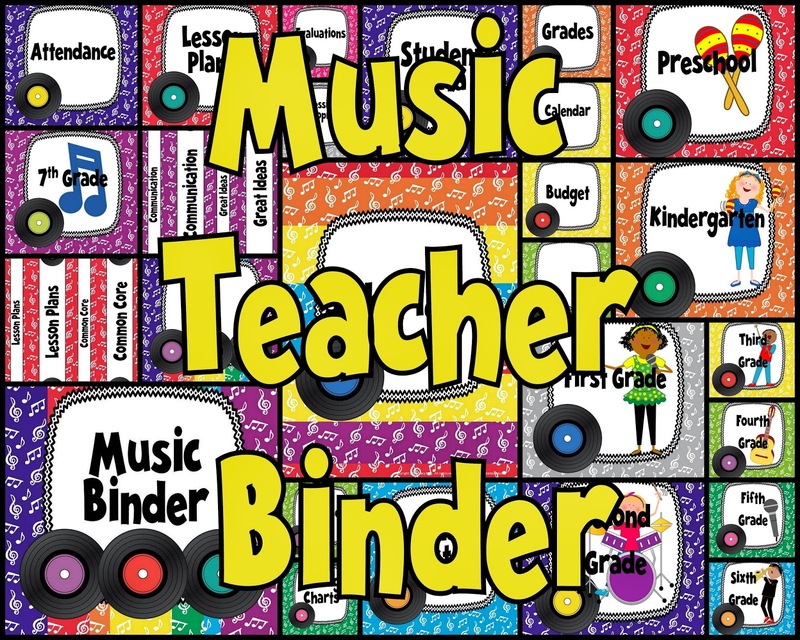 Teachers you can get these Music Memory Books here. We can work on these an entire period or just a little bit depending on our schedule. While working on them play some of the music you've learned this year. Impromptu sing-alongs are fun! If you're a regular classroom teacher or home school you might like this memory book that is musically themed but designed for the regular classroom. For many years I've pulled all of my tools out of my teacher's bag of tricks to find ways to get students to listen for more than 3 minutes to the music of some of the world's greatest composers. I've done active listening with activities like keeping the steady beat, moving to show form, listening for instruments, raising their hands when they hear a certain element and so on. What I wanted was to create an experience where students had a more extended time to listen (say 10 minutes or so) so that they could hear several pieces by the same composer. This is difficult. After about 2 minutes they are wiggly. After 3 minutes they are looking around the room and are disengaging. Soon they are talking and our listening time has turned into me telling kids to be quiet. Until now! As the school year comes to a close I've created composer coloring sheets for students to color while listening to that composer. Since my 2nd graders study composers all year, they were the group that I experimented with. They loved coloring the composers and reading a little bit about them. They also loved listening to several pieces while they colored and often commented about where they had heard it before, what it reminded them of and more. Higher levels of thinking and active educational conversations from a color sheet? YES! Here are some more examples (some in progress) of our listening times. 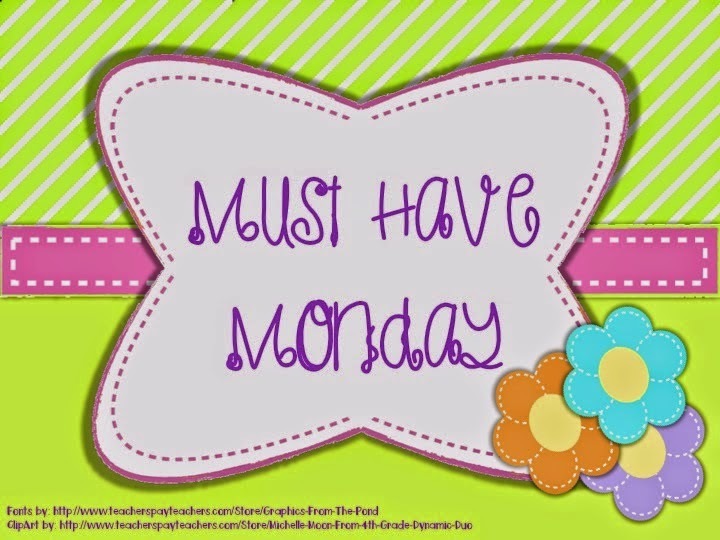 I'm linking up with my pal Amy for a Must Have Monday linky party! This Tuesday and Wednesday Teachers Pay Teachers is throwing a teacher appreciation sale. Here are a few of my must haves! I have ten days of school left. It is hard to believe! 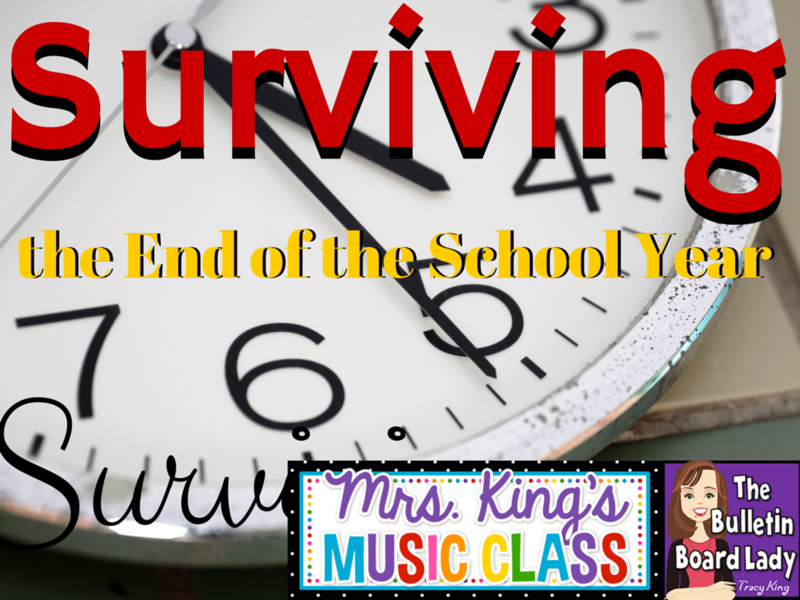 At the end of the school year I love to spend our classes singing through all of the songs we've learned through the year and reflecting on activities and performances. My favorite way to do that is with a Music Memory Book. The one that I use is 8 pages long and works well for 1st through 5th grades. First graders need a little help with the words and maybe brainstorming for some of the pages. Fifth graders love the opportunity to talk about their favorite activities and giggle about performances and fun things we've done in class. I'll post a few pictures next week from these books. I think you'll be impressed too! You can get it here. 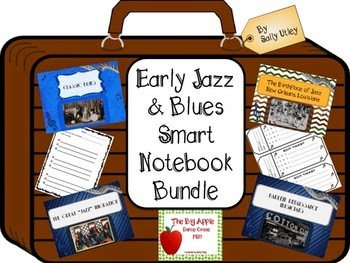 This year I had big plans to reeeeeally do an awesome unit on Jazz and Blues in February. Well...January, February and March brought 24 snow days! LOL...I didn't get to it! So, in preparation for next year I've been eyeing Sally Utley's collection of Smartboard activities. Okay...now for a secret. I'm a clipart junkie! I love collecting bright and beautiful clipart to use in letters to parents, for classroom activities, for concert programs and well...sometimes just because! One of my favorite clipart artists is Dancing Crayon Designs. During recorder season (which is going on right now!) 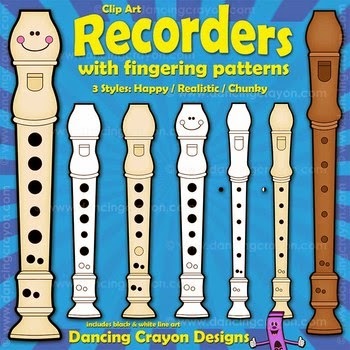 I find myself using the Recorder set all the time. I hope you find this post helpful and have a great Teacher Appreciation Week! If you are planning on getting a thing or two at the TpT appreciation sale don't forget to use the code TPTXO to get an extra 10% off. First Grade Centers-just a peek! First graders are exploring a variety of musical activities in stations as our school year comes to a close. In first grade we are old pros are reading quarter notes (ta) and barred eighth notes (titi). At the play dough station we practiced making them in a new way! We also worked on creating a treble clef which was quite difficult! Vocal Visualizations are fun! This set features a Star Wars theme. Students vocalized using "ooo", "aaah" and "zzzzzz" like a spaceship. They took turns being the leader and guiding their group to follow the path. So much fun! At another station we used craft sticks to create rhythm patterns using notes and rests that we know. Some groups we quite adventurous and built rhythms that stretched to 30 beats long! Later this summer I'll post a more complete list of the centers that we've worked on this year. Teachers: You can find the Star Wars vocalization activity HERE. Just thought I would post a picture of the last bulletin board of the year. It's actually a countdown bulletin board but I had so many pictures that I'm just putting up one page at a time. This picture is of 11 days to go! The kiddos love to stop and look at the pictures and talk about the great things that have happened this year. Teachers: You can get the bulletin board here.